Created in the 15th century, Château de Pez is the oldest domain in Saint-Estèphe. The Pontac family, who also created Haut-Brion, gave Pez its vineyards. The domain was sold as a property of the state after the French Revolution and was owned by a succession of families before Champagne Louis Roederer purchased it in 1995. The Château de Pez estate covers more than 26 hectares. The wines are left to ferment in traditional oak vats before being blended, and left to develop for a period of 16 to 18 months in oak barrels. The Château de Pez winery remains resolutely faithful to wood. The blend is composed in December, then the wine is stored in barrels (40% new wood, 40% in “premier vin” casks and 20% in “deuxième vin” casks) and racked every three months. Vatting: 22-30 days. The wine undergoes absolutely no filtration. 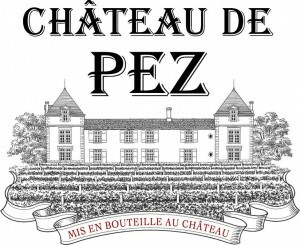 The wines of Château de Pez have an attractive tannic structure worthy of further ageing. They are sometimes referred to as the ‘Pomerols’ of St-Estèphe, in part due to the smooth roundness brought to the wine by the Merlot vines grown on the exceptional soils. They tend to be dark in colour and have great length, body and distinction and are best appreciated after 5+ years. After a mild winter, a cool and rainy spring caused delay in the bud-break. The month of May, though mild, was still rainy, increasing the risk of disease in the vines. At the setting of the fruit, yield forecasts were rather pessimistic. Fortunately, fine, sunny and cool weather during September removed the threat of botrytis. By the end of September, phenolic potential was high, potential alcoholic degrees very reasonable (between 12.8° and 13.5°) and the ripeness of the tannins was such that amazingly ripe grapes were harvested. The harvest will long be remembered as particularly difficult vintage (a very big threat of disease –even greater than in 2007). This year, once again, careful canopy management (de-budding, precision de-leafing and crop thinning) was crucial in order to keep the vines healthy. Deep purple-red with tar and spice with currants on the nose, as well as powerful and fruity with aromas of cherry and blackberry. Compact, concentrated blackcurrants, slightly smoky with elegance, lift, structure and length. Full and silky with a long finish. Ideal with lamb and other red meats, holding up well to rich sauces.